If waterfront living and being close to nature while still having easy access to all of East Nashville’s hot spots appeals to you, than one of Inglewood’s best kept secrets may be the place for you. The Moss Rose neighborhood is a little off the beaten path and rests between the Greenways of Nashville and the Cumberland River. Many of its homes sit up on hills with tree lined or river views. 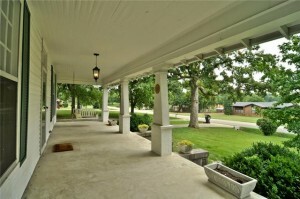 You will find a large stock of brick ranches mixed with renovated cottages with the occasional new construction. The nearby Greenways access allows nature and fitness lovers a chance to jog, bike, and explore for miles and miles, even taking the more adventurous into other parts of Nashville. Moss Rose is close to Riverside Village for quaint vintage shops, restaurants, a family medical practice, pharmacy, and a pub, and also has quick access to Briley Parkway. While you will pay a premium for Moss Rose’s riverfront views, there are tons of surrounding homes that are still priced a lot more competitively than much of the thriving East Nashville market.